LOS ANGELES (AP) — The release of "Deadpool 2" this weekend ended "Avengers: Infinity War's" three week stronghold on the top spot at the box office. 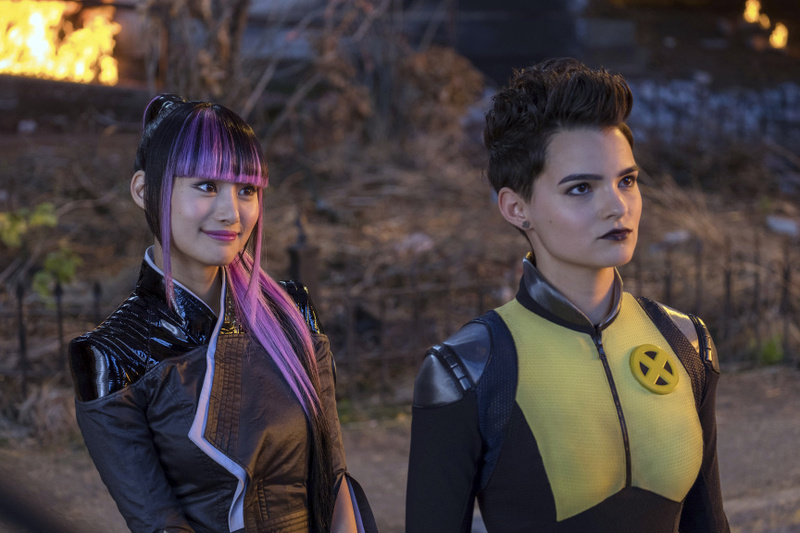 20th Century Fox's "Deadpool 2" grossed $125.5 million in its first weekend in theaters, slightly less than the first film's record-breaking $132.4 million launch. But it effectively bumped "Avengers: Infinity War" to second place with $29.5 million. The superhero blockbuster has now netted over $595.8 million domestically. In third place was Paramount's "Book Club," starring Diane Keaton, Candice Bergen, Jane Fonda and Mary Steenburgen, which opened to $13.6 million. The Melissa McCarthy comedy "Life of the Party" took fourth place with $7.6 million, while the Gabrielle Union thriller "Breaking In" landed in fifth with $6.8 million. 1. "Deadpool 2," 20th Century Fox, $125,507,153, 4,349 locations, $28,859 average, $125,507,153, 1 Week. 2. "Avengers: Infinity War," Disney, $29,452,903, 4,002 locations, $7,360 average, $595,813,862, 4 Weeks. 3. "Book Club," Paramount, $13,582,231, 2,781 locations, $4,884 average, $13,582,231, 1 Week. 4. "Life Of The Party," Warner Bros., $7,603,850, 3,656 locations, $2,080 average, $30,915,357, 2 Weeks. 5. "Breaking In," Universal, $6,826,385, 2,537 locations, $2,691 average, $29,106,095, 2 Weeks. 6. "Show Dogs," Open Road, $6,023,972, 3,212 locations, $1,875 average, $6,023,972, 1 Week. 7. "Overboard," Lionsgate, $4,625,858, 1,820 locations, $2,542 average, $36,874,428, 3 Weeks. 8. "A Quiet Place," Paramount, $3,944,442, 2,327 locations, $1,695 average, $176,080,755, 7 Weeks. 9. "Rampage," Warner Bros., $1,577,260, 1,466 locations, $1,076 average, $92,500,589, 6 Weeks. 10. "I Feel Pretty," STX Entertainment, $1,265,813, 1,505 locations, $841 average, $46,604,270, 5 Weeks. 11. "RBG," Magnolia Pictures, $1,252,920, 378 locations, $3,315 average, $3,853,686, 3 Weeks. 12. "Super Troopers 2," 20th Century Fox, $1,216,470, 478 locations, $2,545 average, $29,028,826, 5 Weeks. 13. "Black Panther," Disney, $860,442, 935 locations, $920 average, $697,822,227, 14 Weeks. 14. "Tully," Focus Features, $560,020, 670 locations, $836 average, $8,430,545, 3 Weeks. 15. "Raazi," Zee Studios International, $551,201, 123 locations, $4,481 average, $1,846,376, 2 Weeks. 16. "Disobedience," Bleecker Street, $521,915, 247 locations, $2,113 average, $1,901,655, 4 Weeks. 17. "Pope Francis - A Man Of His Word," Focus Features, $507,870, 346 locations, $1,468 average, $507,870, 1 Week. 18. "Blockers," Universal, $462,580, 439 locations, $1,054 average, $59,038,055, 7 Weeks. 19. "Ready Player One," Warner Bros., $365,484, 388 locations, $942 average, $135,292,094, 8 Weeks. 20. "Isle Of Dogs," Fox Searchlight, $344,866, 288 locations, $1,197 average, $30,743,143, 9 Weeks.